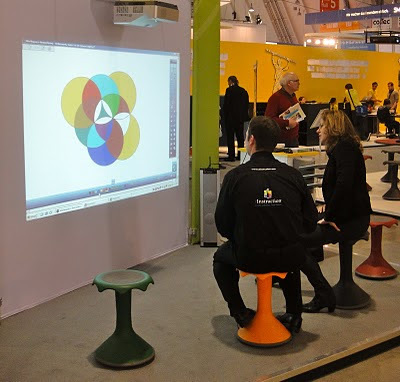 The day after I attended BSEC, (see yesterday's post) I was fortunate enough to be invited to the Didacta Education Show in Stuttgart, by my colleagues at the fabulous VS company. This was a very different scale event with over 850 exhibitors promoting every thing from pencils to commercial kitchens (complete with chefs demonstrating), from books to Interactive Whiteboards, from crafts to outdoor playgrounds, from robotics to furniture. 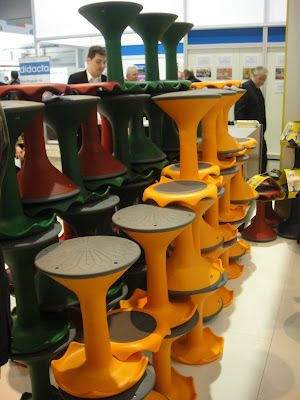 Didacta filled five huge exhibition halls, and the place was packed with a huge number of visitors, not just local but also from all over the world. The mood was upbeat and with an air of positivity and excitement. There were some disappointments - and in many ways the UK is more advanced in some aspects, especially in terms of technology. There was a massive focus in showing people Interactive Whiteboards for example, and hand held voting systems, but there is so much more! Even better there were several groups of students from musicians, artists though to 'skippers' demonstrating and celebrating their skills and abilities in front of enthusiastic audiences. How many shows forget to involve students - the very people who benefit from them! All in all, an excellent day - I certainly hope to visit Didacta again - it was a really positive day! I will be posting more blogs about different aspects of this show over the next few weeks. 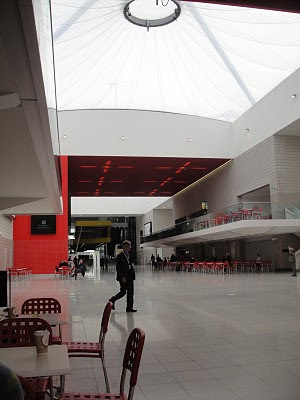 Attending BSEC this year at the ExCel Centre, London, was a really quiet affair. Frankly the place was dead, at least on the Thursday when I attended. I hear that it wasn't much busier on the previous day. This was a pity as many of the seminars and conversations that took place were really interesting with some thought provoking issues explored. It's a real pity that there weren't more there to take part in them. Why was it so quiet? : Lots of reasons were suggested, but the main ones seemed to be that a) it was a reflection of the current climate and the lack of any certainty of what the future held regarding new school procurement, b) the stunning silence regarding the James Review which everyone keeps saying is 'imminent' - but they've been saying that for ages, c) BSEC being held in the school holidays so almost no one from the education sector was there, unlike last year. The overall air was certainly downbeat, one person described it as depressing. Certainly the exhibition stands were not busy. S0me tried really hard to maintain the momentum, including Conference Chair: Professor Stephen Heppell who worked tirelessly throughout the day chairing, questioning, probing - thank goodness for his pro activeness and genuine interest. Next year - hopefully we will all know much more and the excitement and energy will return!! The main street in the middle of the day - a bit quiet I think! 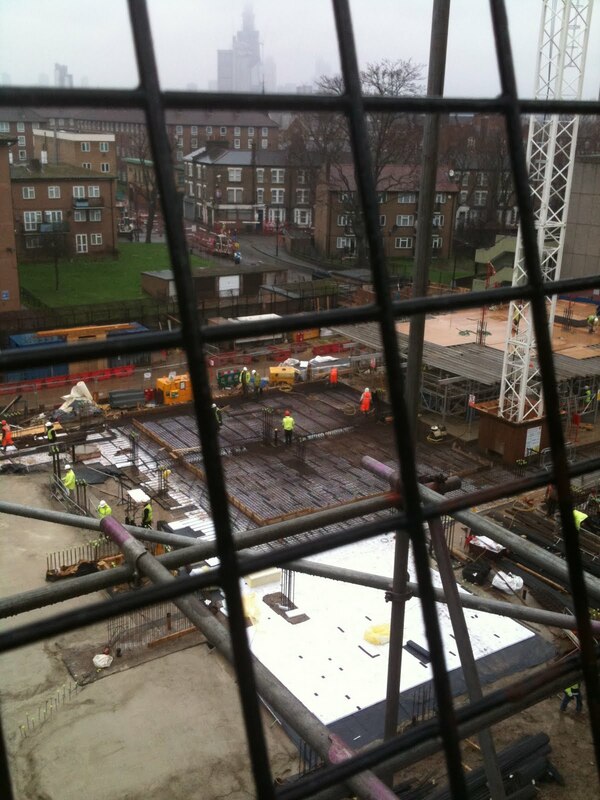 This week, I was fortunate to be able to visit the construction site of a project I have been involved with for some time, in London. The build involves a considerable amount of new build integrated with a Victorian Board School which is being completely refurbished. This BSF project, obviously agreed before Mr Gove's spending cuts, will create a truly inspiring school in an area of considerable disadvantage - it will be fab! Walking around though, it is easy to see the issues concerning refurbishment of old buildings. The new structure is moving rapidly ahead, the refurbishment, whilst just on schedule, continues to reveal significant issue after after significant issue, that escaped the most thorough of surveys. All these have the potential to add delays, cost money and impact negatively on the overall programme and they keep emerging! I wonder how much people really want to try and make old, currently not fit for purpose buildings fit for Third Millenium learning, no matter what it takes? 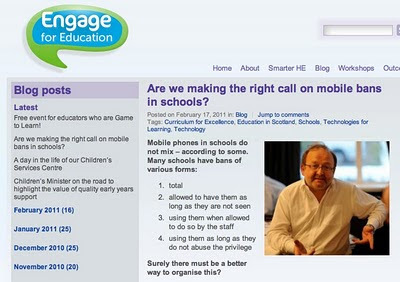 Are we making the right call on mobile bans in schools? Surely there must be a better way to organise this? A principal from a large high school overseas told me how strict their ban was, even having a ‘wand’ to scan students as they hid them “in some unusual places!” When I asked how many had been confiscated this term, the reply was a staggering 754 (really!!). Their policy clearly did not work! What we do know is that mobile technology will not go away, it’s here to stay. It’s getting, quicker, smarter and increasingly user friendly. Mobiles are not a ‘life style choice but maybe are a ‘must have’ in today’s life. Speaking with three sets of students in the past few weeks – there wasn’t one without a mobile, nor one could imagine life without one. Many used it out of school to photograph course work, use the calculator function, research through the web, communicate and so much more. We know the issues regarding filming, cyber bullying, theft. But there are strategies and protocols that schools use to minimise these. Students want to use this kit – getting them to devise the policies for their use will help prevent abuse. CCTV in schools has been topic of hot media debate recently, especially with the news story that one school in Coventry had 112 CCTV cameras. It is an issue that attracts strong views on each side - student safety and security is absolutely paramount. Equally, if we want great learning environments, they have to be protected from abuse by those not connected with the school. 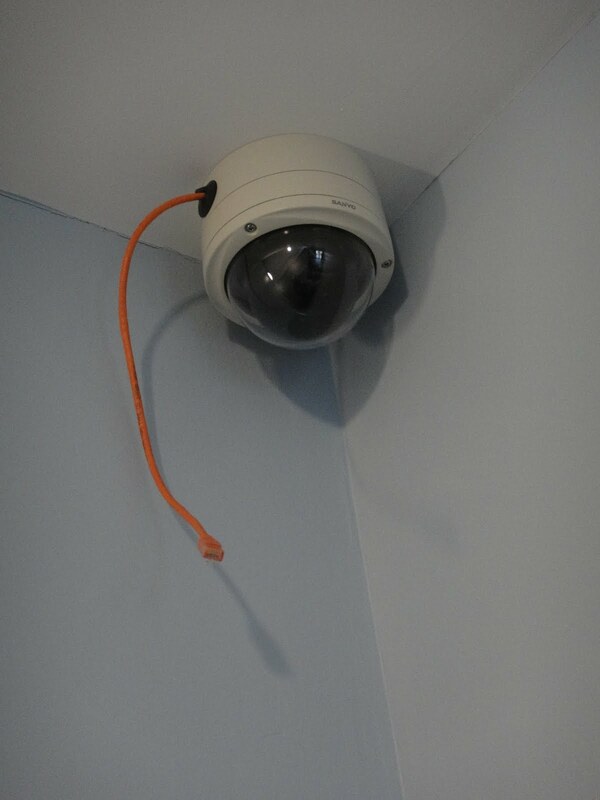 As a Headteacher taking over a seriously failing school with a major damage and behaviour issues, installing some CCTV cameras in circulation spaces, although not 112, was part of a whole range of strategies undertaken. Creating a unified approach to transforming the ethos of the school was the key most important factor however. The cameras we installed were small and discreet, not the clunking great things that some schools seem to use inside.I'm not sure why they would do that really! Most people forgot all about them after a while. Did they work? there is no one approach that works - it is the combination of factors that support each other. In this case, after a few months, the result was we basically that we didn't need them. Damage was just about stopped and behaviour really improved. Crucially, students felt safe and staff enjoyed a co-ordinated approach to working together. 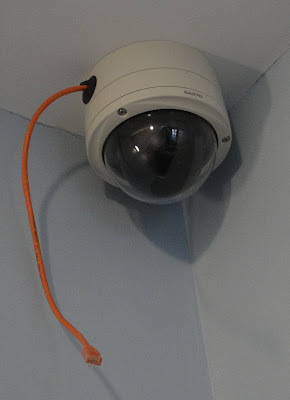 CCTV helped solve some major issues for us when we first needed it - It was nothing to do with spying on people or not trusting them! 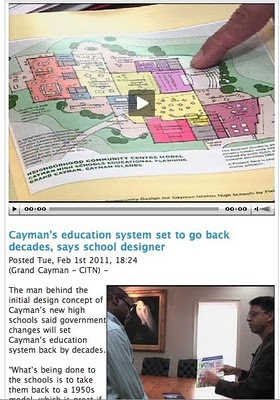 It has been disappointing to watch the recent debate in the Cayman Islands, with the current administration trying to partly undo the work we did in trying to design and build world class learning environments. It seems that walls are being added in some agile learning areas, before they have even finished building the campuses, let alone occupied and used. A large group of people, including me, put considerable work into the concept and design processes. It is has been the result of a big media focus recently, involving the former Minister of Education; Alden McLaughlin who fought for these schools, world renowned education visionary Professor Stephen Heppell and Prakash Nair all joining in. The original concept designs by Prakash Nair, one of the world leading schools designers, featured a series of agile but connected learning spaces, in a' schools within school' model. The designs, featured around the world in media, books and conferences, won significant praise and admiration - they were world leading concepts for for Third Millennium students. Following a range of issues, and some subsequent delay in construction, other countries have now 'overtaken' Cayman in school design terms, but they were still going to be fantastic venues. By installing walls to make a series of small contained spaces much of the vision is being undone. Students do want to learn in a wide variety of ways, many staff want to be undertake a range of pedagogical approaches depending on the specific activity. The designed spaces allowed for all these things to happen. The key to achieve all this is through robust and ongoing professional development of staff and students as a matter of course, but certainly long before they enter new buildings. The absolute wisest schools are those that are constantly reevaluating and developing teaching strategies. Without this, of course there would be challenges, doing nothing different will lead to even more! Undoing something that was being admired around the world before it even starts is just, frankly, a bizarre and disappointing decision. To read the story and watch the video click here. The following blog post first appeared on the Scottish Government's 'Engage for Education' website. I am really pleased to have been asked to contribute to it on a regular basis: To read it on the site please click here. This is such a wrong question! 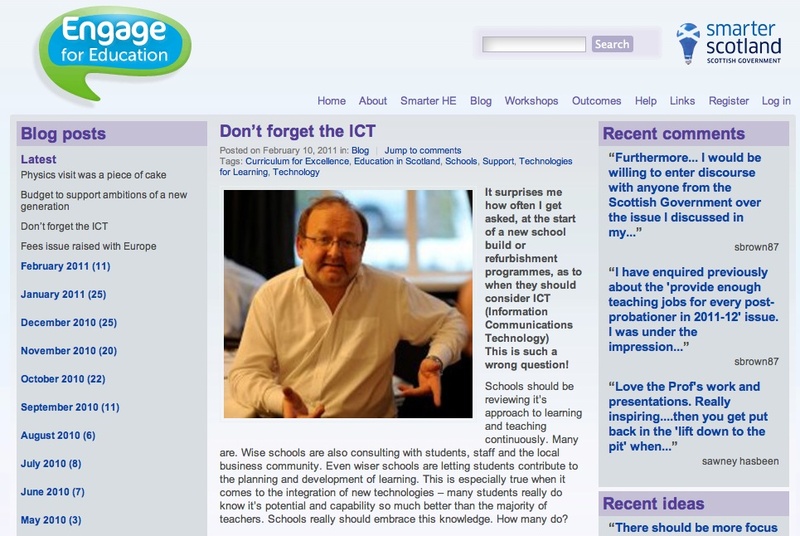 Schools should be reviewing it’s approach to learning and teaching continuously. Many are. Wise schools are also consulting with students, staff and the local business community. Even wiser schools are letting students contribute to the planning and development of learning. This is especially true when it comes to the integration of new technologies – many students really do know it’s potential and capability so much better than the majority of teachers. Schools really should embrace this knowledge. How many do? So the question is really how do we design learning spaces that will allow staff and students to work in a variety of ways now and more importantly, in the future? Robust flexible technology integration is an absolutely vital part of this. ‘Book free – technology rich’ schools already exist; ‘e books’ sales are rocketing; the future really does look like…… and THAT’S the problem. Many people cannot envision how fast technology is developing in everyday use, it’s impact on learning in the future, let alone what technology looks like when fully integrated into learning for the Third Millenium. We cannot be designing new learning spaces, (which may take years to actually be delivered), without taking into account future learning needs. This just has to be supported by a well planned professional development programme which gives staff and learners confidence in new approaches to learning with the full integration of new technologies. When everyone starts thinking about approaches to learning, then we can talk about the design of spaces to support them. The conversations become different, focused and better… if students are involved, they tend to be better still!" For those that did not see it, there was a really good article by Dea Birkett in the Guardian recently about the value of student voice.. There are still so many people that do not understand that many of our young people really do have a great deal to contribute, they really do know how they prefer to learn, they do care, they do want to do well, they are not robots. When asking about what they would like to see in schools, there will always still be the zany or crazy responses from a few, but introduced and guided properly, these are always the minority. I really believe that if we get it right, most students want to help get the approaches to their learning right -most want to do well. A key part of this is also helping create a learning environment to be one that will encourage them to work harder. We just cannot keep doing the same old thing... I don't understand why not everyone sees this!